Bittersweet Seraphim has been released from Hell. Satan Jack invites you to come…and indulge yourself in his journey to save the angel he loves. After running Hell for over a thousand years one foul-mouthed Seraph has changed his end game. Even if it means destroying the universe, Jack refuses to give up on Emma. He didn’t know what love was until Emma’s skin pressed against his, the addiction to any of his other vices paling in comparison. Jack has never been a fearful man, but he gets it now. Fear comes when you have something to lose. Or someone. Thank you for letting Bittersweet Seraphim fly here today! Go to Debra Anastasia’s BLOG for a list of tour stops, more chances to win, and a buddy prize with crystal bracelets! I've read and loved Poughkeepsie by Debra Anastasia so I'm definitely interested in reading Crushed Seraphim as well. Thanks for the giveaway! I absolutely LOVE Poughkeepsie too!! She's a great author. 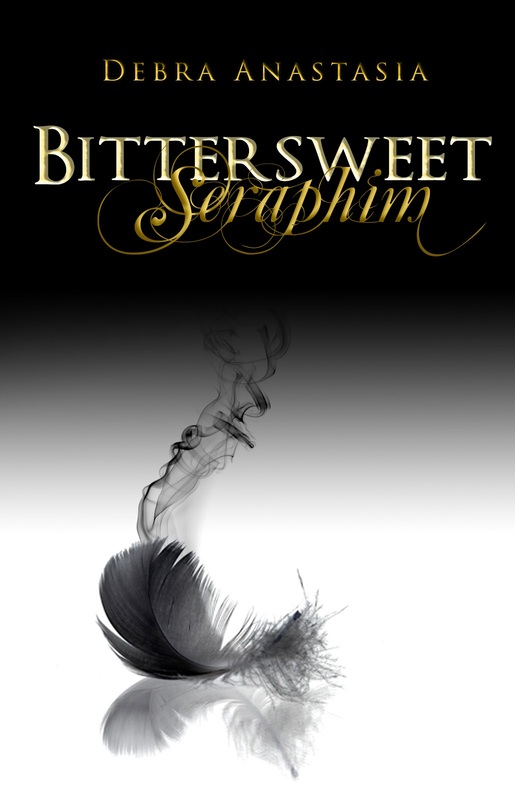 I loved Poughkeepsie and I have been waiting for 2nd Seraphim book to come out so now I can read them both! Cannot wait! Sounds fantastic! Thanks so much for sharing and for the great giveaway! I haven't read anything by this author, but I've seen a lot of awesome reviews and definitely have her on my wishlist... thanks for the giveaway! I can't wait to read this series!! Thanks for the chance to win! Satan Jack is HOT AS HELL ;) I love love love Poughkeepsie and I can't wait to read Crushed and Bittersweet Seraphim! Oh send me to hell already! !